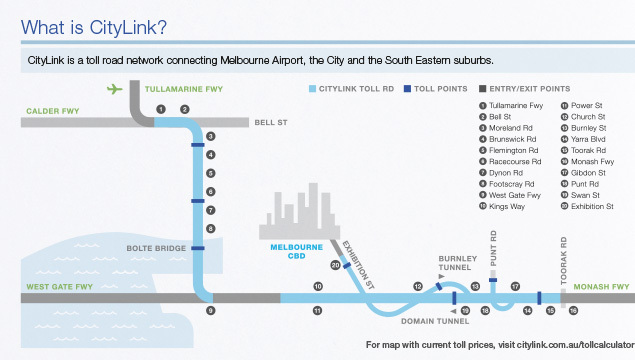 Every month thousands of vehicles use Transurban’s toll roads without paying. They are caught on camera and sent an invoice. 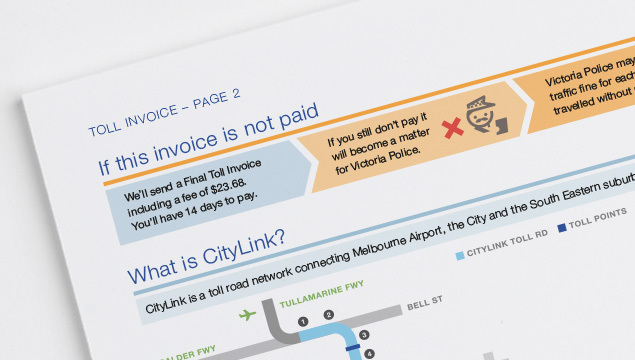 Many of these invoices are never paid, resulting in loss of revenue for Transurban, and giant fines for drivers. Our brief – stop this from happening. Our investigations revealed many drivers did not even realise they’d used a toll road. 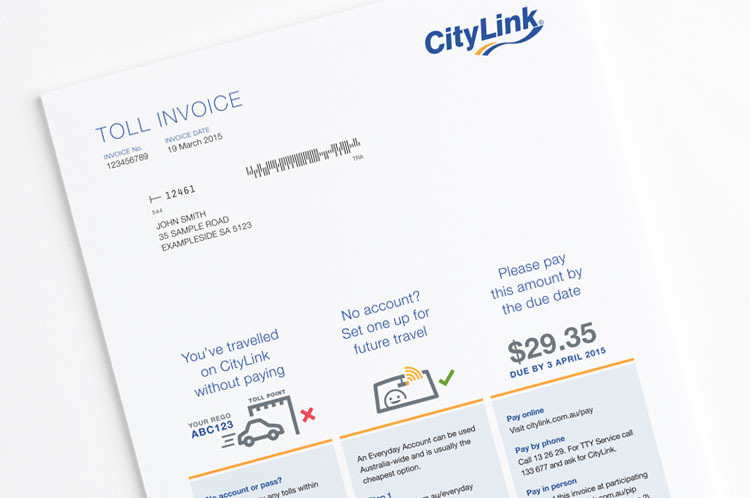 The design solution not only needed to provide clear billing information, it needed to explain why drivers had received a toll invoice in the first place. We developed a stepped visual story that allows quick identification of what occurred and how to fix it – with minimal reading effort. Plain language in the active voice explains the details. The visuals continue overleaf with a chart explaining the consequences of not paying. Travel and toll details are itemised in a simple table. In testing, the invoice design exceeded even our expectations – every user was able to identify why they received the invoice, the amount and date due, and ways to pay. A professional mailhouse implementation will allow Transurban to reap the full benefits of this customer-focused design. These designs were awarded Silver in the 2017 International Institute of Information Design Awards (the top award in the finance category). Visit awards site.